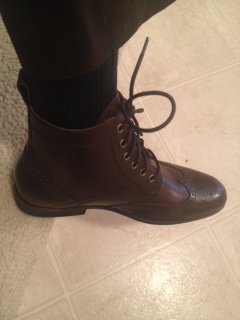 Brown wingtip dress boots from Banana Republic…currently on sale. 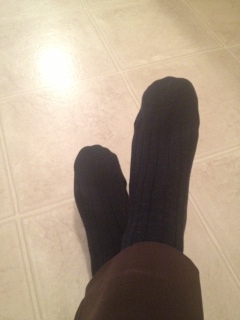 Ribbed navy blue dress socks are from Banana Republic. 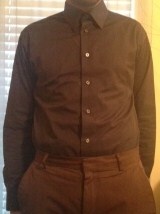 Brown flat front trousers are also Banana Republic. Navy blue dress shirt with pointed collar is made by Calvin Klein. Necktie is a vintage Yves Saint Laurent thrifting find for $1. 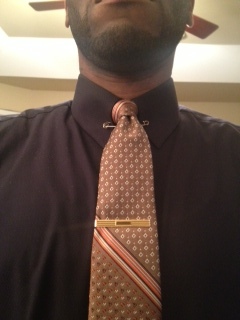 Brass tie bar from Brooks Brothers. Brass collar pin is from Ralph Lauren. 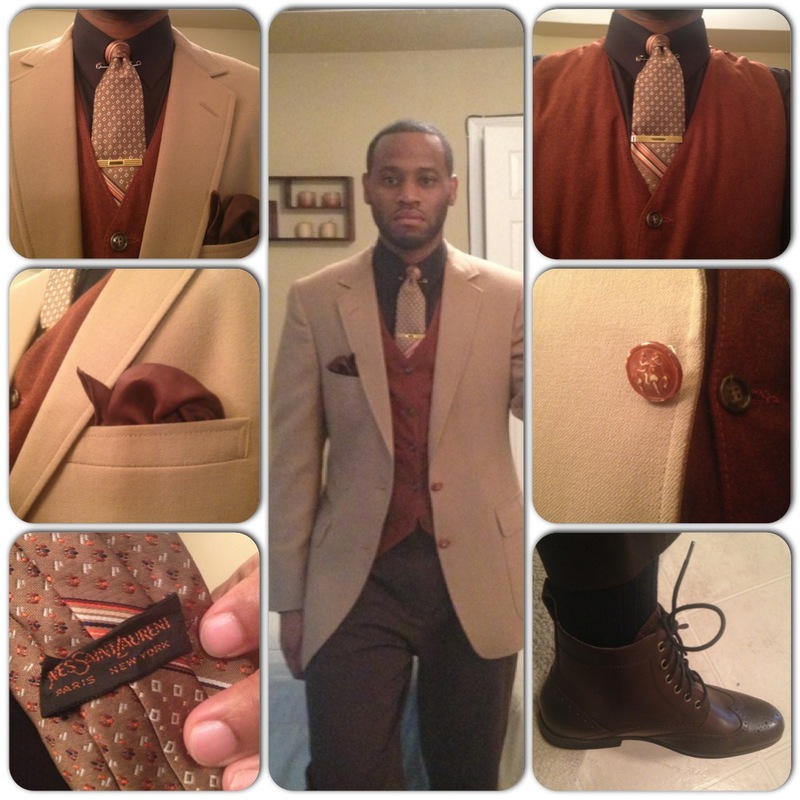 Terra Cotta vintage vest is from Design Archives in Greensboro, NC. 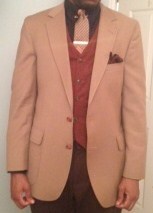 Vintage tan blazer with notch lapel, center vent, and original buttons that are almost the same color as the vest was a thrifting find for $5. 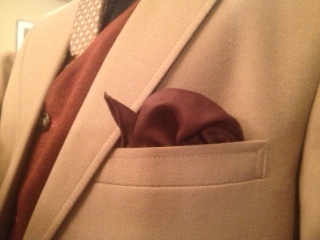 Silk chocolate pocket square…origin unknown. This entry was posted in Uncategorized and tagged banana republic dress boots, banana republic socks, brooks brothers tie bar, Charlotte Style, Design Archives, earth tones, layering, Mens fashion, mens style, Menswear, ralph lauren collar pin, Thrifting, Vintage Dope, vintage Yves Saint Laurent necktie, Wilbur Dow, wingtip boots by wilburdow. Bookmark the permalink.